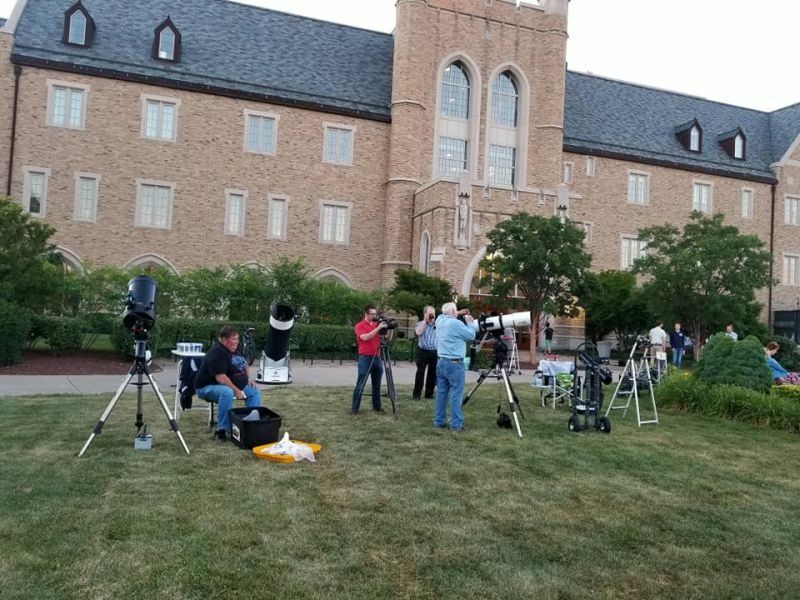 University of Notre Dame - South lawn in front of the Jordan Hall of Science, 9:30-12:00 PM EDT Note: The new start time 30 minutes earlier. For the July 6th event there was a great turn out, the crowd was estimated at around 1500 people. 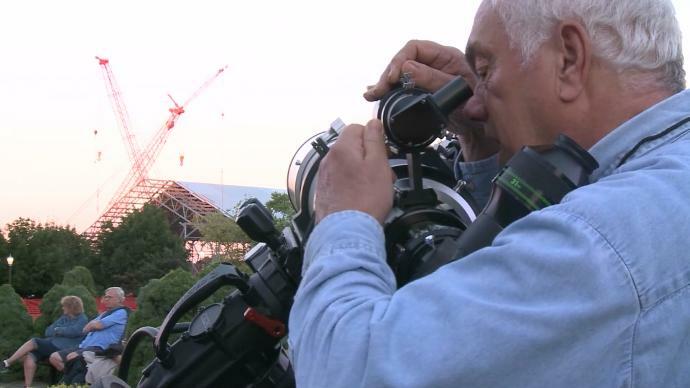 Click on the image of Jim aligning his guide scope to link to the channel 16 WNDU coverage of the event. 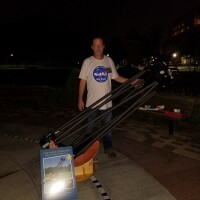 For the August 17th event there was some clouds, however several MAS members still showed up and so did 150 interested people. 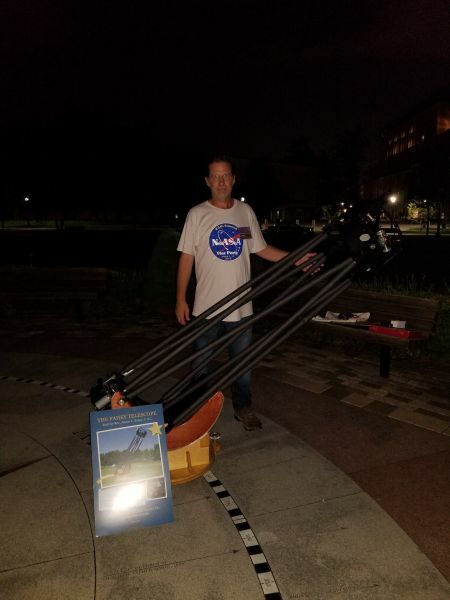 April 19th, 2018 - Our April Speaker was: Professor Timothy Beers of Notre Dame - "Chronography of the Halo of the Milky Way"
Volunteers wanted to man the science outreach table at the Morris Performing Arts Plaza from 3-6PM. Contact Linda Marks for details. March 20th, 2018 - Time And Relative Dimension In Space: Can We Build a Time Machine? MAS meeting Thursday March 15th. Our March Speakers will be: This month, we have 4 seniors from Elkhart Memorial High School doing three presentations! Sydney Grahovac - A Study in Radio at Solar Minimum. Sydney was the MAS first place winner at the Northern Indiana Science and Engineering Fair (NIRSEF) at Notre Dame on March 3rd. Duncan Learman - Manipulating Plasma. Duncan was the MAS second place winner at NIRSEF. Duncan Learman, Gabriel (Gabe) Efsits, Aaron Russell, (Taylor) - NITARP: Identifying Young Stars in Cepheus C. They conducted astrophysics research with their instructor, John Taylor, and a small group of students and teachers from across the country working with Caltech. They presented their findings at the American Astronomical Society in Washington, DC. Please RSVP by January 6th. Thursday Nov 16th meeting. Our speaker will be Dr. Vin Placco from Notre Dame. He will present the program, "A Tale of Two Stars: Revealing the Age and Chemical Evolution of the Universe." MAS member's will participate in an outreach event at Fernwood Botanical Garden in Niles, MI. Contact Matt Biekski for details. 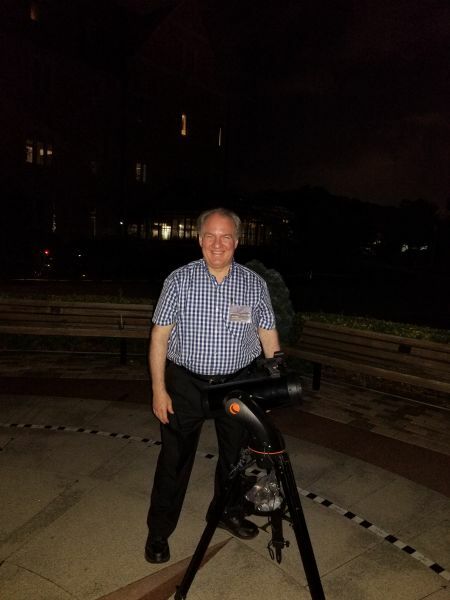 September 23th, 2017 Star Party @ Bremen H.S. MAS member's will participate in an outreach event at Bremen High School. Contact Aaron McNeely for details. Note: This is rescheduled from August 26th due to clouds. 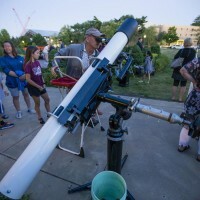 Volunteers are needed to bring out their solar scopes or scopes with solar filters. MAS member will participate in an outreach event at Fernwood Botanical Garden in Niles, MI. 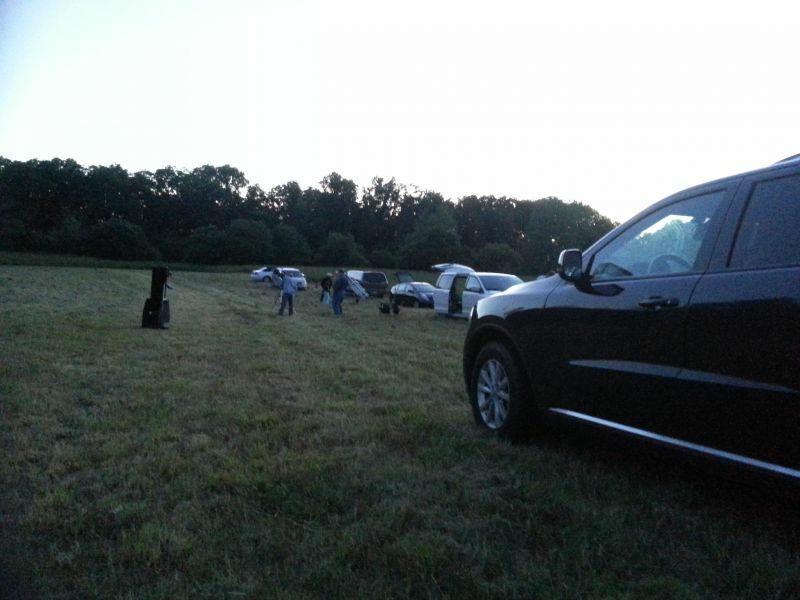 Several MAS member will hold an outreach event at the Potato Creek state park campgrounds. The dates for MSP9 have been confirmed and planning is well on it's way. Lot's of clouds and rail, but a good tme was had by all that attended. Note: This event was rescheduled to May 6th due to rain on the original date. May 2nd, 2017 - Gone Fission? Northern Indiana Regional Science & Engineering Fair @ the University of Notre Dame. MAS will be participating as judges and providing a donation. January 31th, 2017 - Dark matter vs. Dark energy: What’s the difference and why do we care? Note: Change of meeting days - Wednesday Feburary 22nd, 2017 @ 7:00PM, The following meeting will be Wednesday March 22nd, 2017. Starting April 2017 we will return to the third Thursday of the month. December 2016 - No January Meeting: There will be no regular meeting in January. MAS Holiday/Winter solstice party: January 21st there will be the MAS Holiday/Winter solstice party at Eric's house. Details will be provided through the MAS Google email group. December 6th, 2016 - Extremes of the Planets – An Event for All Ages! Thursday October 20th meeting of MAS at 7 PM in the Centre Twp. Branch Public Library. Saturday from 10 to 4 (or whenever) for solar viewing. 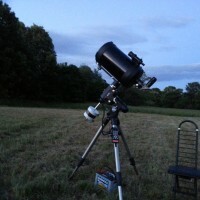 Saturday evening the Warsaw club is having a public event.You are all welcome to attend and bring your telescopes.It will be held at Potawatomi Wildlife Park. This is south of Bourbon, IN roughly the intersection of Indiana 10 and Indiana 331. This is a joint WAS and MAS event and is open to the public. This is a joint IUSB and MAS event and is open to the public. 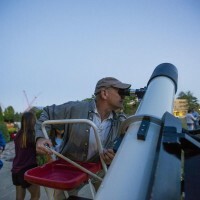 There will be activities for kids and adults as well as viewing of astronomical objects through telescopes. Note: IUSB changed the location from the Greenlawn lawn area just north of Northside hall, top the parking deck roof. 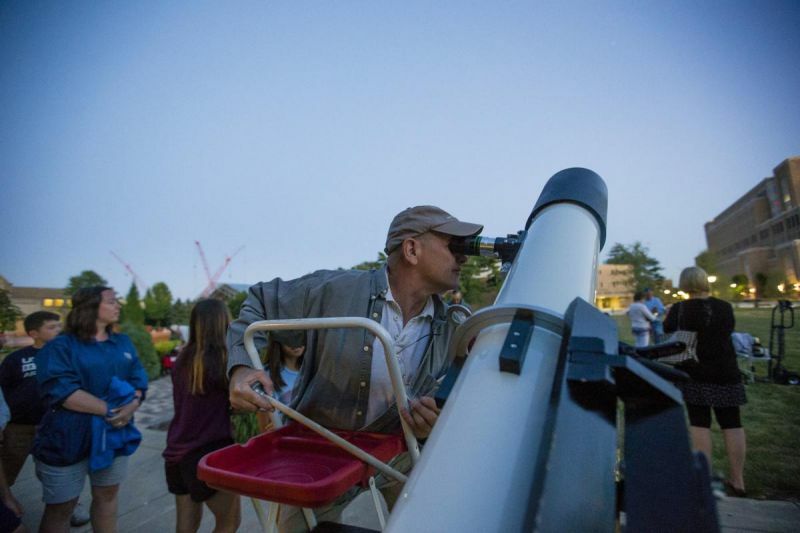 Join us as Notre Dame astronomers take over Jordan Hall for an astronomy-fueled evening, including planetarium shows, live presentations, science craft projects, and hands-on demonstrations! 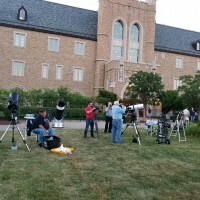 Tuesday May 24th - 6:30-8:30pm, Jordan Hall of Science www.nduniverse.org. 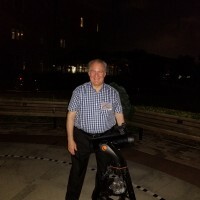 Arron McNeely has requested some members come out with their scopes on Monday evening between 9:30-10:30PM EDT. Bremen is about 15 miles south of Mishawaka on route 331. The school occupies a single block in the center of town. 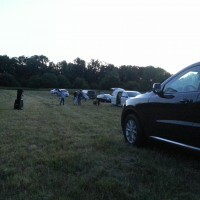 The star party will be held on a grassy field just north of the football stadium. Due to weather, rescheduled to Thursday May 19th. “Get Out There!” event on Sunday, May 15th at Ferrettie/Baugo Creek County Park from 1-4pm. MAS will do some solar outreach. The talk begins at 7pm in 101 Jordan Hall of Science. Afterwards there will be a show in the Digital Visualizations Theater. You can find out more about the series at www.nduniverse.org. Organized by Chuck and Bruce, for more information see Chucks Nightwise site. 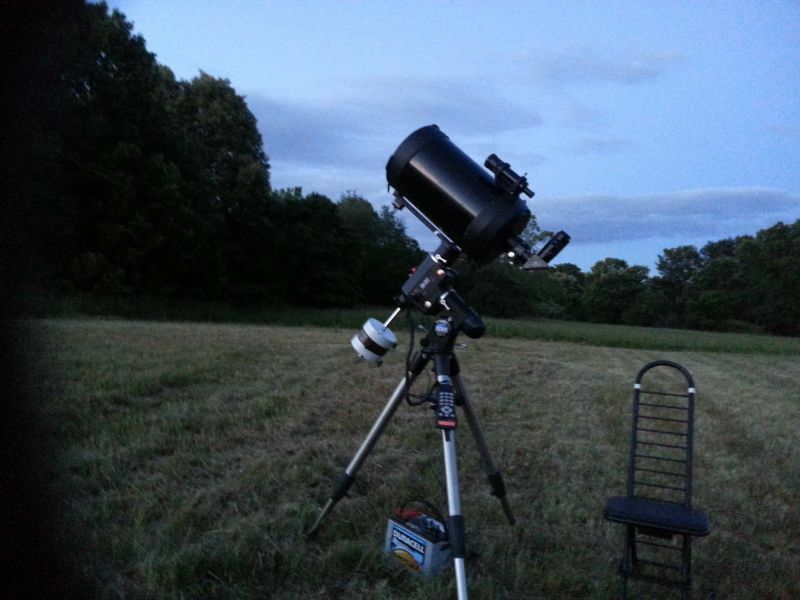 For information on our upcoming Michiana Star Party #8 click here. April 21th, 2016 Regular Meeting - If you haven't paid yet, your 2016 Membership Dues are over due! Dr. Jinmi Yoon is the featured speaker at the April 21 meeting of MAS at 7 PM in the Centre Twp. Branch Public Library. Her talk is Galactic Archeology: Search for the Oldest Stars. Discover the environments in which the first stars were born. Free and open to the public. See http://www.nightwise.org/#!Galactic-Archeology-Search-for-the-Oldest-Stars/c17jj/57027a530cf234e9192823db. People are always fascinated about the beauty and complexity of the night sky. However, our ability to see further, fainter, and in greater detail is limited by our own eyes, and that is one of the main motivations why instruments such as telescopes were invented. In this presentation we will take a journey around the world, and see where (and why) large telescopes are built, and all the implications these have in our understanding on how the Universe works. Feburary 27, 2016 NIRSEF 2016 Northern Indiana Regional Science and Engineering Fair. MAS continues to support NIRSEF with a donation plus awards to the best two Astronomy related projects. In addition several MAS members will be judges at the fair. For more info click here. Feburary 18th, 2016 Regular Meeting - If you haven't paid yet, your 2016 Membership Dues are due! Indiana Dunes National Lakeshore is having a stargazing starting on Saturday November 7, 2015 and the first Saturday of almost every month for the next year. 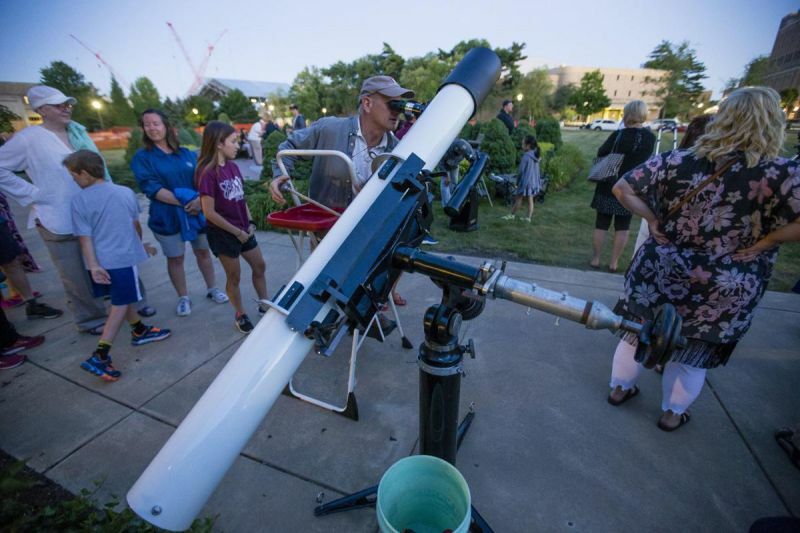 The program will take place at the Kemil Parking Lot, near Beverly Shores, one of the Dark Sky Communities.That location is one of the darkest spots between Chicago and Michigan City. The address to plug into gps is "Kemil Beach, Beverly Shores, IN 46304, or GPS Coordinates - 041.40.39N 087.00.35W.